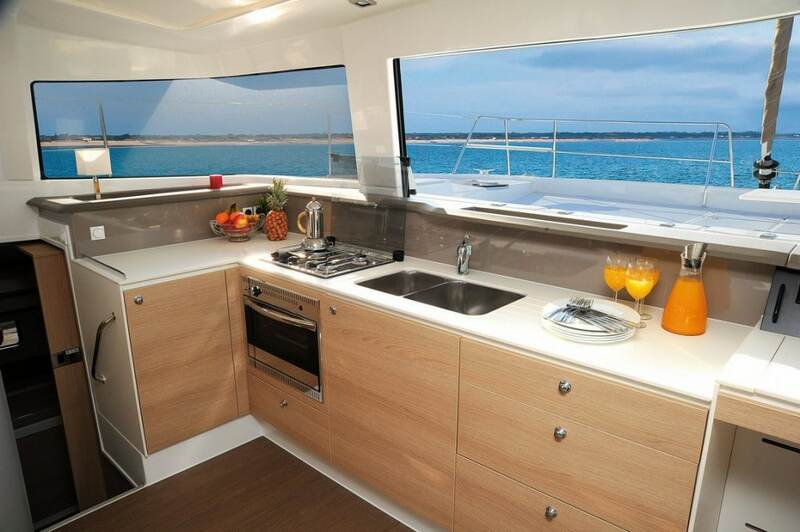 She rewards the daring, with her panoramic views of the sea, wherever you dream to be. Live inside as you would outside, with exceptional natural light. 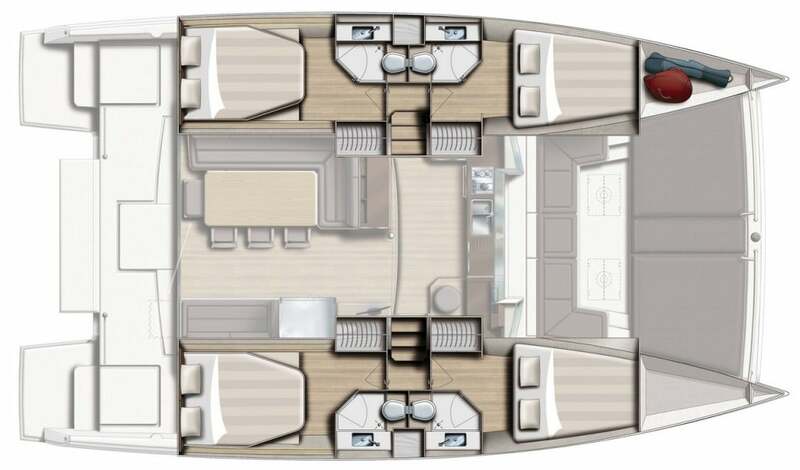 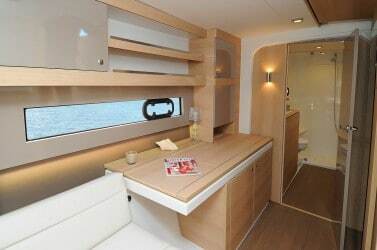 The Bali 4.3 ‘Loft’ has oversized and entirely open living space with flush floors between the saloon and cockpit. 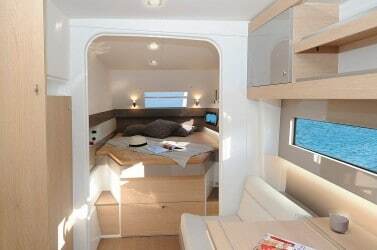 It has an unrivalled forward cockpit with superb sunbathing platform in place of old style trampolines all part of this ground breaking design. 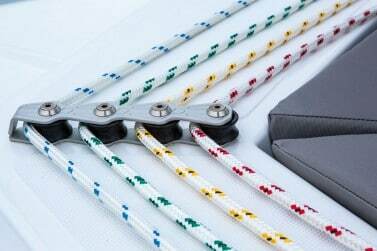 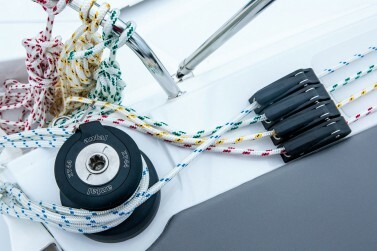 All the systems are design for self sufficiency whilst at sea or anchor. Sail in Loft mode. 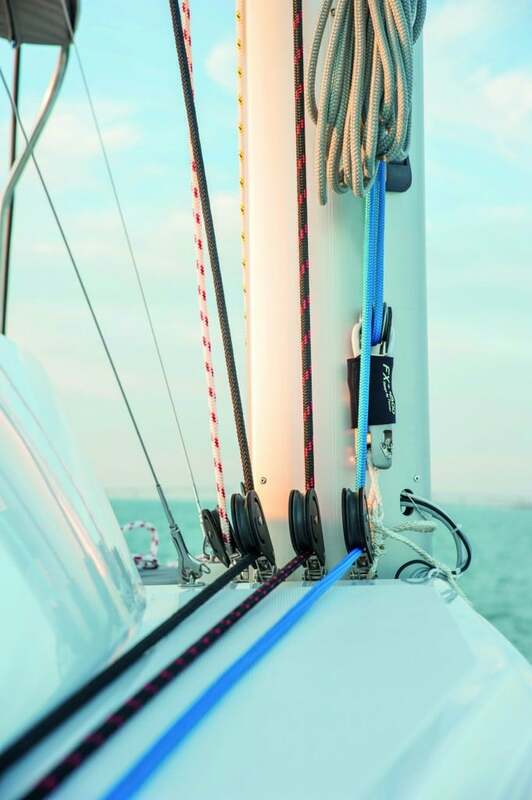 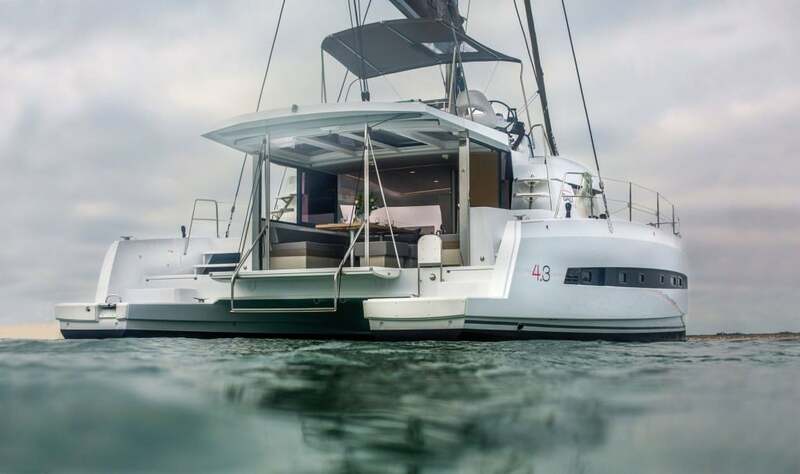 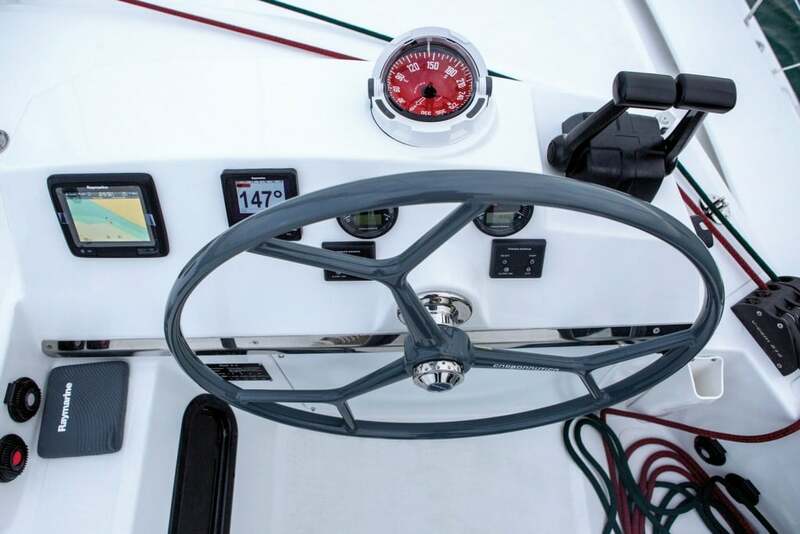 The Bali 4.3 is a revolutionary design by Xavier Fay along with the Catana design team and benefiting from all the features of the Bali 4.5, the first of the new Bali range of cruising catamarans. Huge interior and exterior spaces with great all round vision, fully retractable front saloon window with large sliding windows in the aft saloon for maximum ventilation. 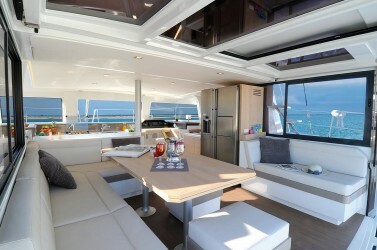 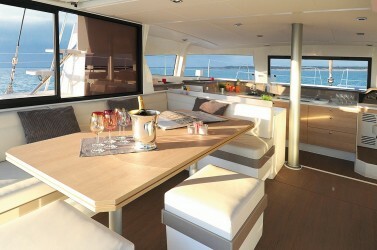 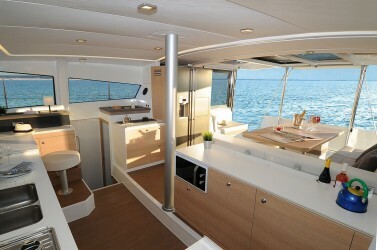 Plenty of large sunbathing areas, front cockpit for comfortable outside dining and entertaining. Extra living space with the sunbathing area on the coach-roof, another classic Bali feature. 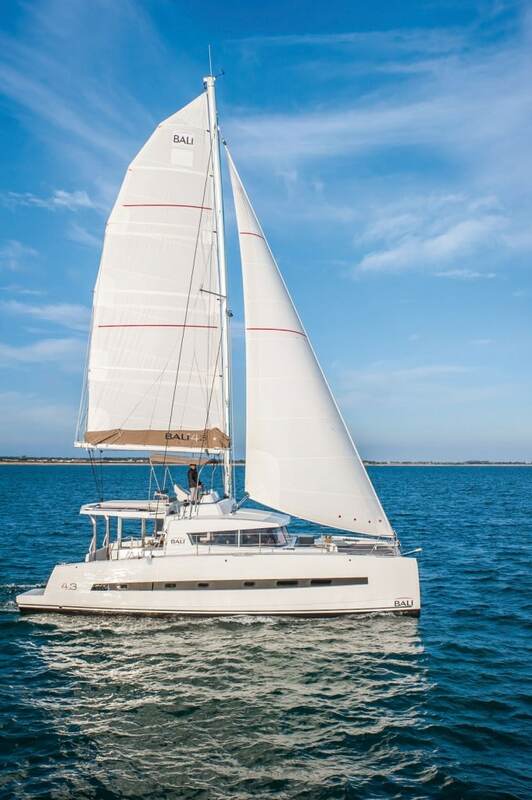 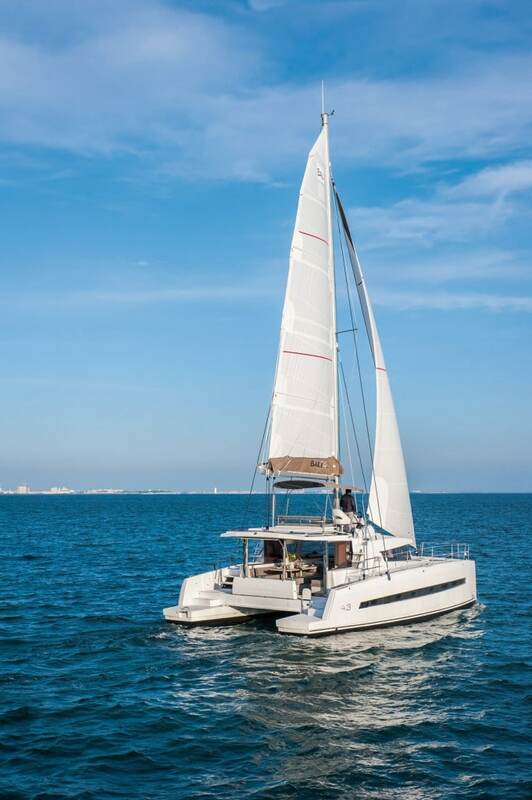 The 4.3 was voted the best catamaran by the famous “Sail“ Magazine in the USA. 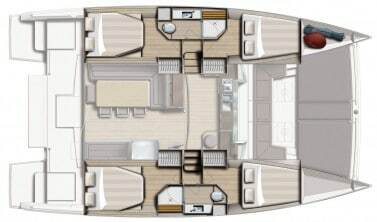 The 4.3 is again characterised by its single flush saloon/cockpit with a fluid and vast floor area, free of bulkheads. 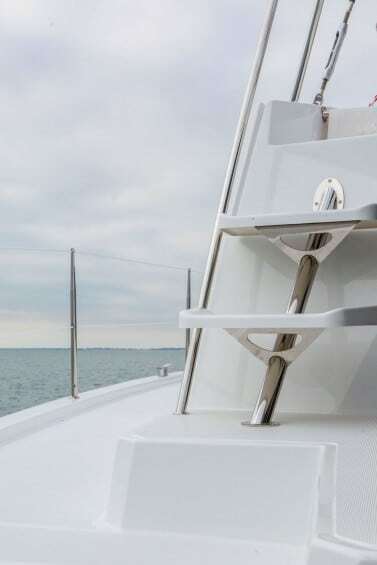 Access is via a full width retractable glazed door raised by electric-hydraulic or pneumatic struts. The saloon can go from cosy protected interior to fully open space in a few seconds, with absolute ease. The forward cockpit with comfortable dining area and large sunbathing platform replaces the old-style traditional trampolines for more comfort, safety, easy of operation and structural integrity. 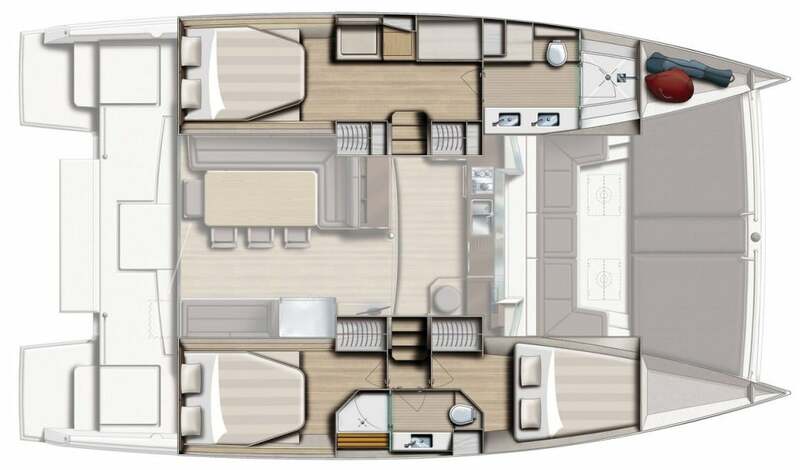 Inside, you will find exceptional light, via large retractable windows allowing superb ventilation and class-busting roomy cabins with en-suites. The Bali is a joy to live in whatever the weather or climate! 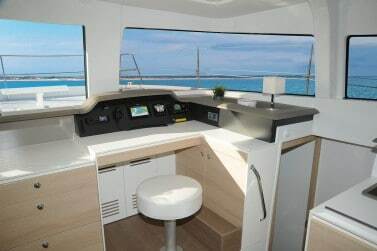 The forward large galley boasts plenty of storage and surfaces, offering the best views from any galley; very well-equipped for great meals aboard every time. 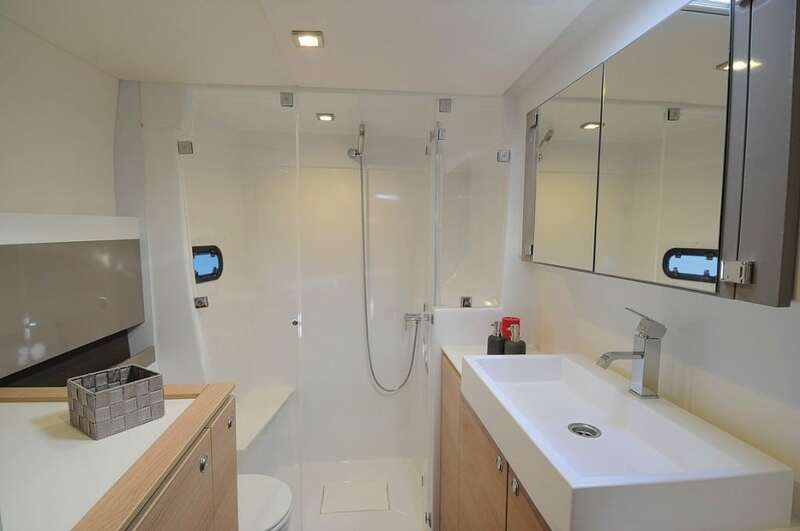 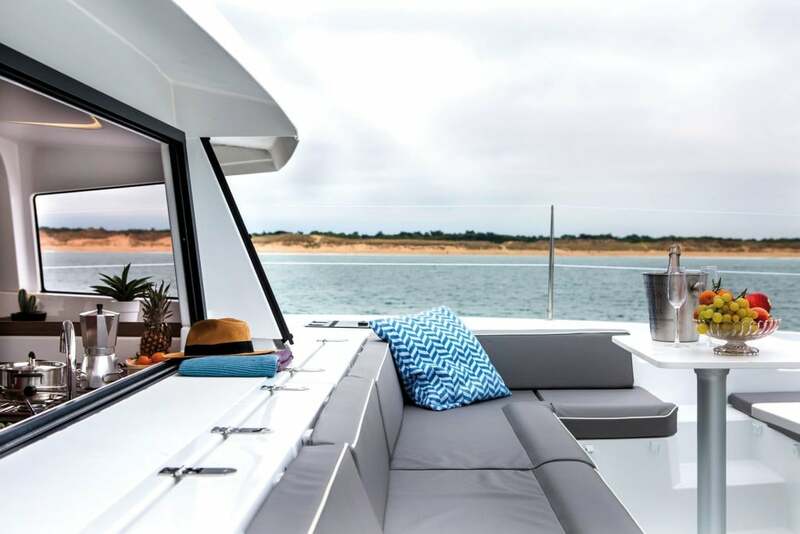 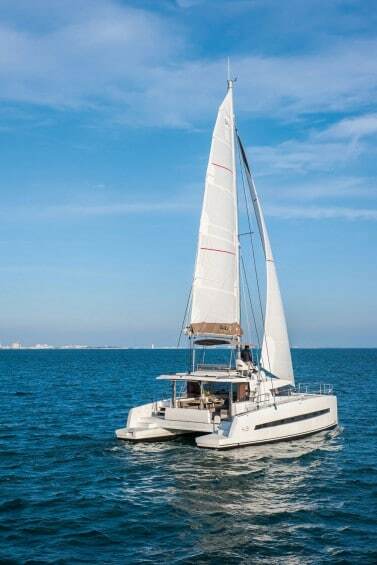 Designed to be fully self-sufficient as all the Bali this catamaran has 800-litre fuel and water tanks, 2 x 60-litre holding tanks and a 615-litre american-style fridge/freezer running off a large capacity battery bank, charged by large alternators. 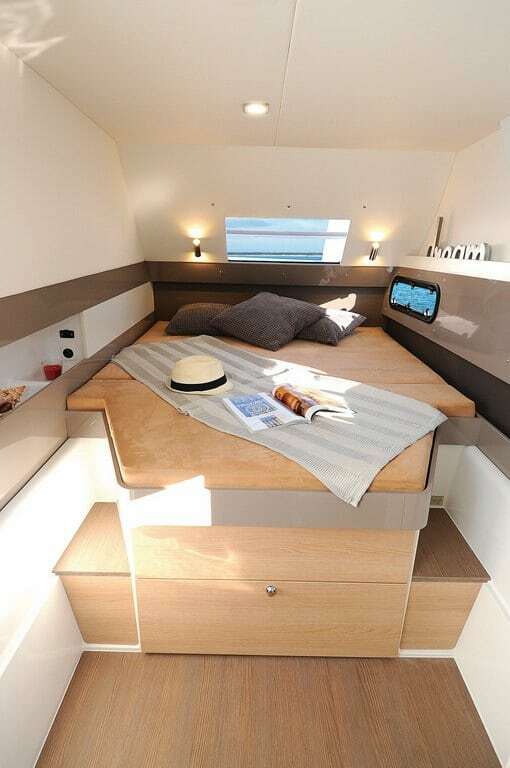 There is plenty of space for optional solar panels. 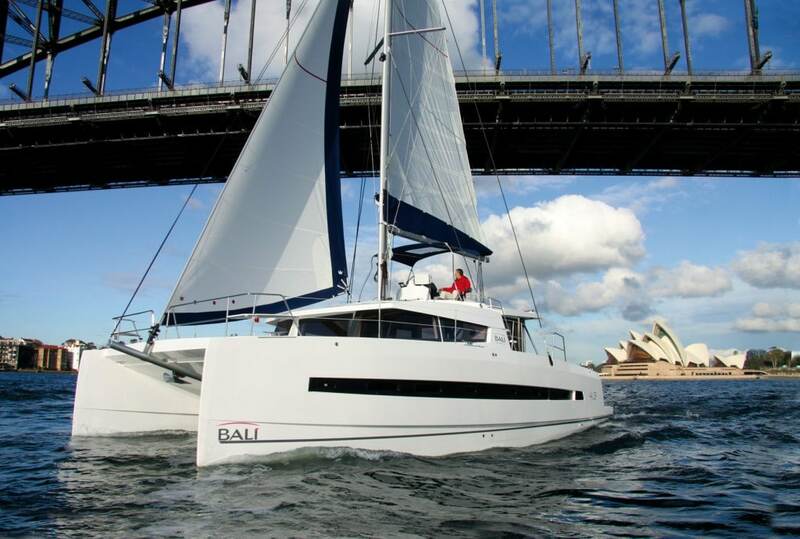 The Bali 4.3 will allow you to go even further and for longer in perfect comfort and style.